The pace of NBA life this Sunday is quite relaxed, with just the three games to look forward to. We’ll check out those three games later on but we may as well start with a look back on the Saturday action. The Hornets downed the Pacers in a low scoring game, winning 80-71 in Charlotte. The Wizards won in Brooklyn, their 90-99 win was far from the surprise of the night but it was a solid result. The Warriors went to town in Houston, defeating the Rockets by a score of 106-131. The Grizzlies defeated the Trail Blazers 102-98 in Memphis. The Detroit Pistons bandwagon keeps on rolling. They may only have been facing the 76ers but the 107-89 win was a very welcome one for the home side. The Hawks are still flying high, picking up an excellent 99-107 win in Chicago. 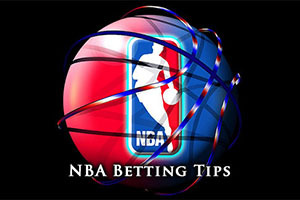 The Nuggets were mauled at home by the Timberwolves, the team from Minnesota winning by 105-113 and the Clippers were too strong for the Kings, the Los Angeles team winning 108-117 in Sacramento. The Pelicans hold a fairly average 19-20 record going into this game while they hold a 7-15 record away from New Orleans. The Raptors are in better shape, holding a 26-13 record, which includes a 16-6 record in Toronto. However, both teams lost their last game so this will be a game between two teams looking for a change in fortune. With respect to the five game record, the Pelicans hold a 2-3 record, which is the exact same as the Raptors. This means this one could be a difficult one to call between two teams who could be doing better than what they currently are doing. The Raptors had a disappointing loss against the Hawks on Friday night, going down 89-110, although the 25 points from DeMar DeRozan was a positive element about the game. The Pelicans suffered a disappointing loss at the hands of the 76ers in Philadelphia on Friday night, being gunned down by a score of 96-81. Jrue Holiday is a major doubt for the Pelicans while Anthony Davis is being closely watched by the medical staff in New Orleans. The Raptors have major concerns over DeMar DeRozan, who has returned to action but will be monitored to see that there has been no reaction to playing again. Both teams will be out to win this one but you would think that the Raptors will do the damage when it matters. Taking them with a minimal handicap (or if you can find the Pelicans with a large positive handicap), is likely to be the way to go for this match. Bet Now! The Thunder hold a 19-20 record, which contains a 7-13 record away from home. The Magic have a 15-28 record, which contains a 5-13 record, so neither of these two teams are enjoying a good run of form this season. The Thunder won their last game while the Magic tasted defeat in their last outing, so it will be interesting to see if there are any reactions to those games. As for their five game records, the Thunder hold a 2-3 record, which is the same record that the Magic do, so again, both teams are quite evenly matched in recent form. Russell Westbrook grabbed 17 points, 17 assists (a career high) and 15 rebounds (equalling his career best) in the Friday night win against the Golden State Warriors. The 127-115 win was a massive one against a high flying NBA team and a lot of credit is also due to Kevin Durant, who grabbed 36 points in that game. Also on Friday, the Magic were having a tougher time, falling at home to the Grizzlies, losing out by a score of 96-106. The Thunder have a clean bill of health coming into this game but the Magic have a few concerns. They could very well be without Evan Fournier, Tobias Harris and Aaron Gordon for this one. The Thunder could well grab a big away win here, or at least make it extremely difficult for the Magic. Taking the Thunder with a -9 handicap, at odds of 1.90, is likely to be a sound bet. Bet Now! The Jazz come into this game with a 14-26 record, which includes a 7-14 record away from Utah. 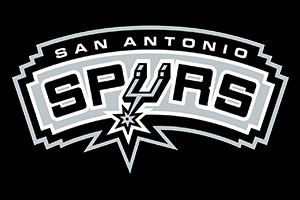 They face the reigning NBA champions who hold a 25-16 record, and the Spurs hold a 14-6 record in San Antonio. The Jazz won their last outing and have a 2-3 record over their last five games while the Spurs have won their last two games and hold a 4-1 record in their last five outings. Kawhi Leonard may have missed 15 games but he showed no signs of rustiness in returning to the team on Friday night. His 20 points was the highest for the Spurs in the game and they were a crucial factor in the 110-96 win against the Trail Blazers. The Jazz had a big win on Friday as well with Gordon Hayward’s 31 points going a long way to ensure that the Lakers were defeated 94-85. Both teams appear to be free from injuries in the run up to this match and you have to think that the champions are in good shape for this game. They’ve managed to hand out a few thrashings in San Antonio and for that reason, taking the Spurs at -11.5, at odds of 1.90, for this game should be a decent addition to your Sunday. Bet Now!